Designed with strict specifications and extreme quality, Mammoth Lite Grow Tents provide superior durability. They are extremely affordable and easy to assemble so that even a novice gardener can easily assemble this product. As well, they won’t have to spend a lot of money on complicated tents when they are just starting out and are looking for the best method to contain their garden. 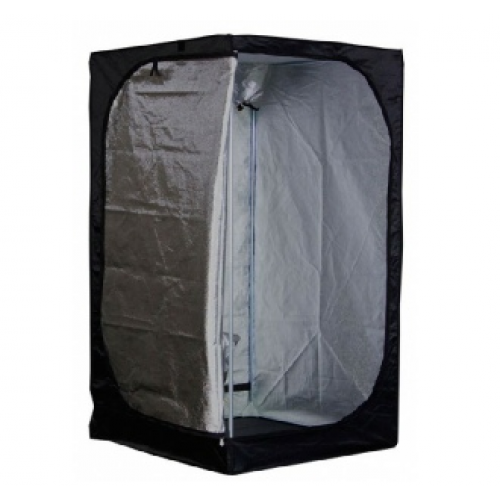 Both professional and private growers worldwide have high acclaim for this easy to assemble and outstanding grow tent. The Mammoth Lite Tent is ideal for smaller gardens, especially during the vegetative stage. It is also ideal for drying your crop after harvest. Outlet/inlet vents for fan/exhaust systems. Canna Terra Starter Kit Our Canna Terra Starter Kit is a super growing kit for an introduction ..
BioBizz Starter Grow Kit Our BioBizz Starter Grow Kit is a super growing kit for an introductio..
NFT GT 205 Hydroponics Starter Kit The NFT 205 Hydroponics Starter Kit is perfect for int..
NFT GT 424 Starter Kit The NFT 424 starter kit is perfect for introduction to Hydroponic growi..
Lumii Black 600w Magnetic Grow Light KitA Great value for money grow light kit with a 2 year warrant.. Designed with highly reflective Mylar to ensure up to 955 light reflection ratingsStrong steel frame..